Today is another quick Blood Bowl update. We are two weeks into the Spring Training league at my local Games Workshop and I’ve managed to get in three games. Currently my record is 2-1 but I feel pretty good about that loss. 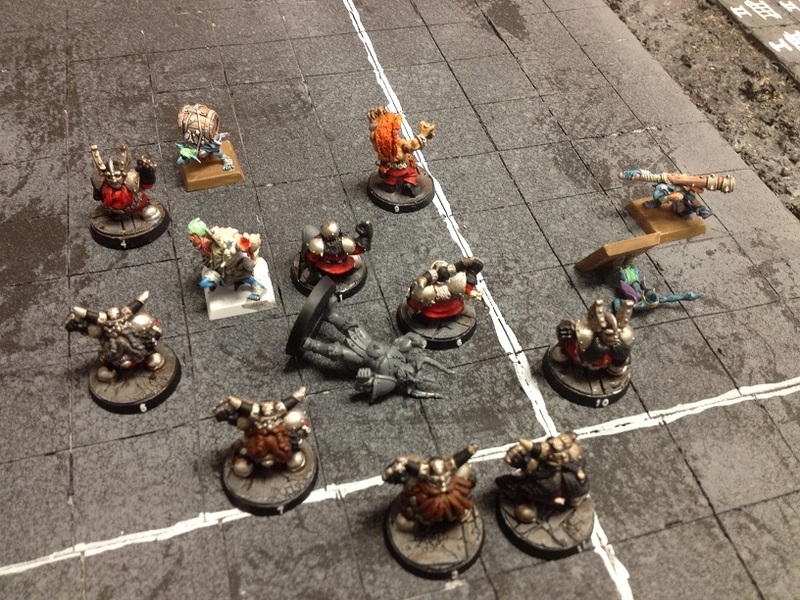 It was against a Chaos Dwarf team, they only scored once, and I didn’t take any casualties. I’m still working on all the miniatures for the team. Last Friday I finished my Coach, apothecary, and a second runner. It was good timing on the runner, because I had just won enough money to start fielding him. You don’t actually need figures for your coach and support staff, but I think it is much more fun to have them on the sidelines. Another miniature I finished is my beer pony. There is no in game reason for me to have this, it just makes me happy. 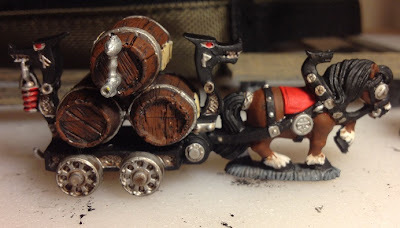 The horse and cart came from an old Warhammer Fantasy box set. I had to cut the mining cart off of it and then I added a third party stack of kegs. 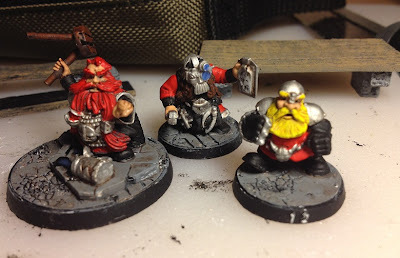 You’d think I’d be done, but I still have a long line of Dwarfs that need paint. My turn and reroll trackers need to be finished. I also have two score keepers, a cannon, a referee, and a bunch of musicians waiting for me on my painting table.